A study of a spray of Job's tears. The single stalk breaks into two curving heads from which spring bearded ears, something like those of barley. The grass known as Job’s tears was introduced to Europe from eastern Asia during the Renaissance. 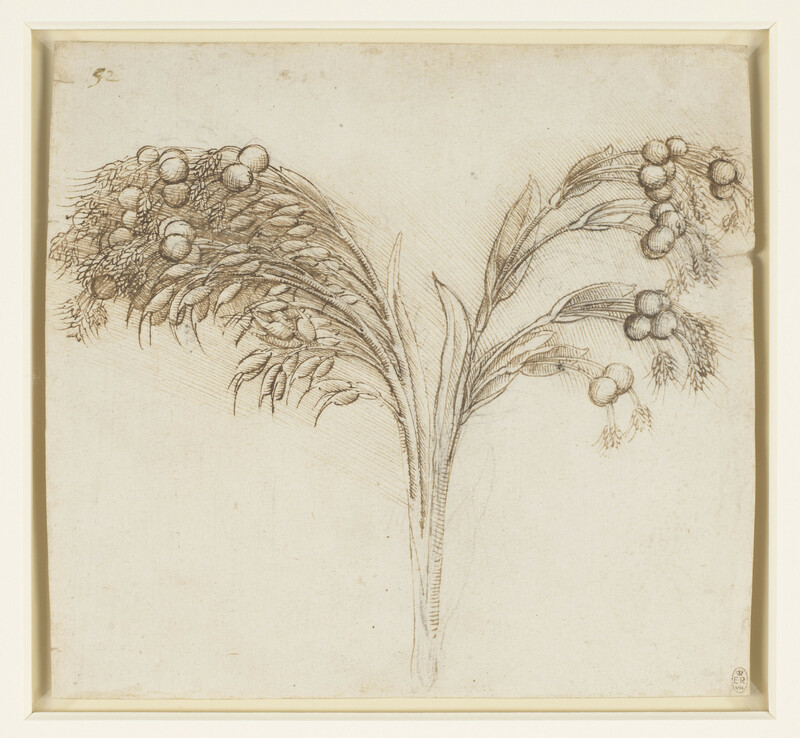 Leonardo’s drawing seems to be the earliest evidence for its presence in Italy.